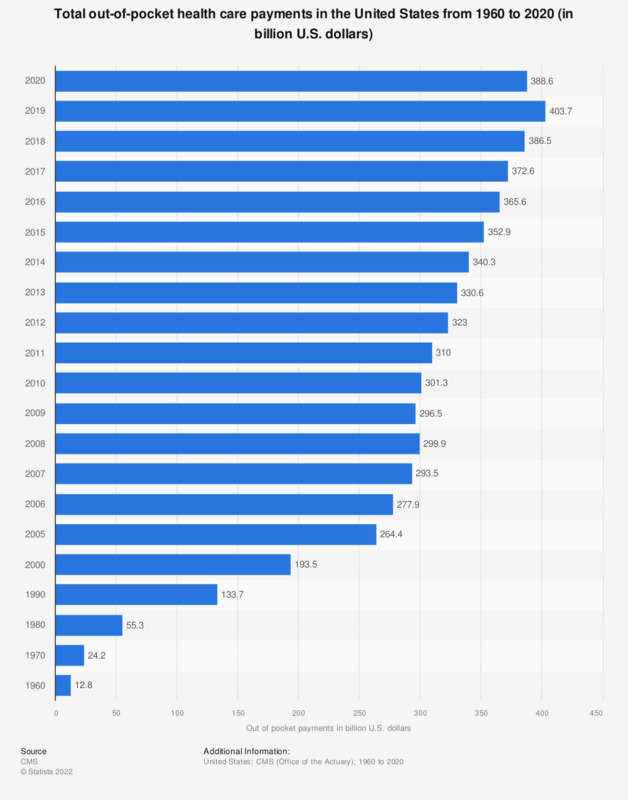 This statistic depicts the total out-of-pocket health care payments in the United States from 1960 to 2019. In 2016, total U.S. out-of-pocket health care payments came to some 356 billion U.S. dollars. In the U.S., especially out-of-pocket payments for prescribed drugs can be very high.